A beautiful designed 3 drawer chest. 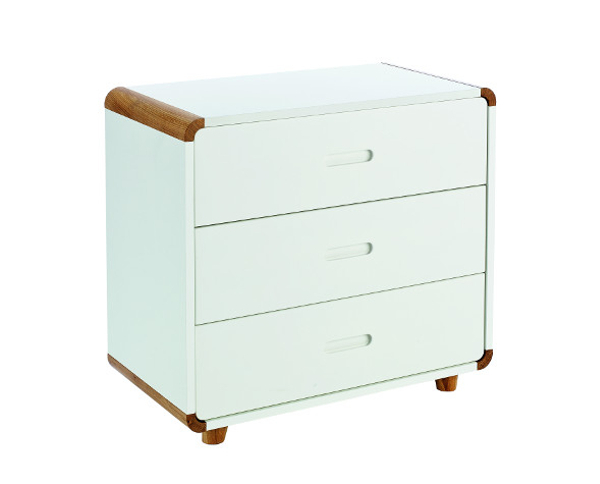 Stylishly finished in white and oak with stunning curved features and inset handles. Compact and functional with rounded solid oak corners, this chest of drawers works well free-standing or tucked under the Curve midsleeper. White lacquered finish with inset handles and smooth metal runners. 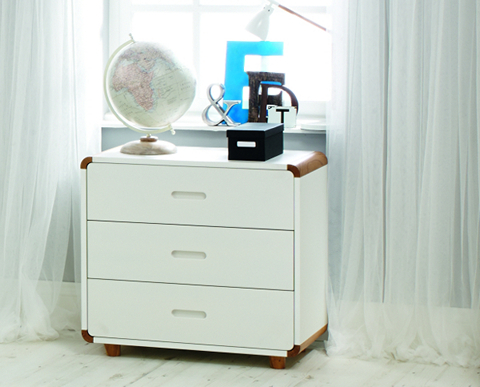 Includes Curve 3 Drawer Chest.